The USGA will bestow its highest honor, the Bob Jones Award, on Dennis Walters of Jupiter, Fla., at a ceremony on June 13, 2018, one of the highlights of U.S. Open Championship week in Southampton, N.Y. Known for his never-say-quit attitude, Walters turned the tragedy of being paralyzed from the waist down at age 24 from a golf-cart accident into a personal mission to teach golf and life lessons to a worldwide audience. His story continues to inspire fans of all backgrounds through the countless professional talks and trick-shot shows he has conducted since 1977. The award ceremony will take place Wednesday evening of U.S. Open week at Sebonack Golf Club, in close proximity to historic Shinnecock Hills Golf Club, site of the 118th U.S. Open Championship. Among the featured speakers for the invitation-only event will be Jack Nicklaus, eight-time USGA champion, 1975 Bob Jones Award winner, and one of Walters’ longtime supporters and friends. In 1967, at the age of 17, Walters won the New Jersey Junior Championship, Caddie Championship and Public Links Junior Championship, an unprecedented triple crown. He attended North Texas State on a golf scholarship and finished 11th in the 1971 U.S. Amateur Championship. He had reached the final stage of the PGA Tour’s Qualifying School when the accident changed his life. 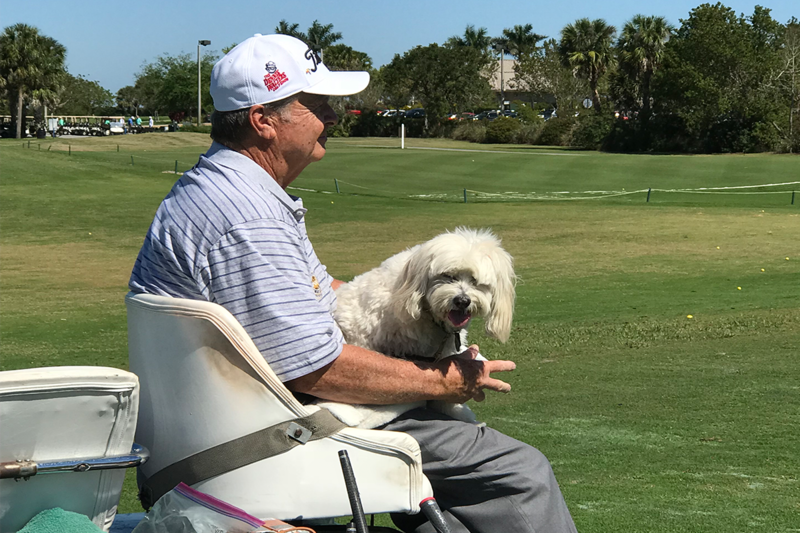 Determined to return to the game he loved, Walters started hitting golf shots from his wheelchair. A friend created a mounted swivel seat on the passenger side of a golf cart that allowed him to get back on the course again. In developing this unique way to play, Walters showed that it was possible to play golf even if one has a severe disability. 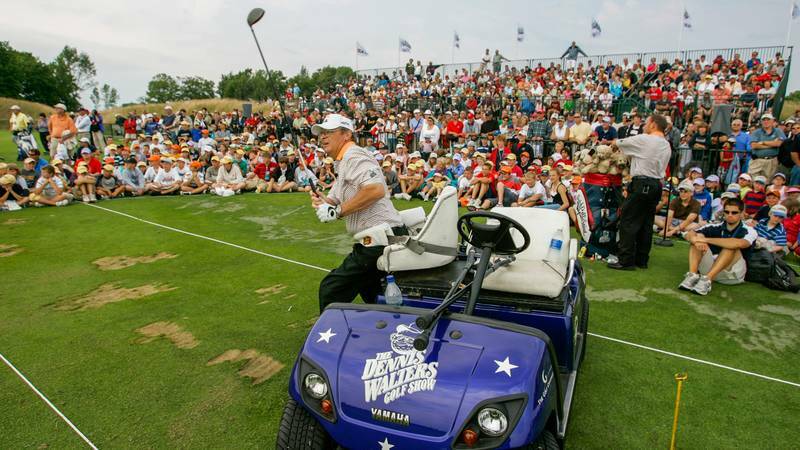 In the last five decades, Walters has traveled more than 3 million miles and has made more than 3,000 appearances to energize and motivate audiences in all 50 states, Canada, Mexico and the United Kingdom – many of them for enthusiastic junior golfers and those with disabilities. Walters uses his personal experience to challenge each person he encounters to do something in their life that they thought impossible. His message is simple and profound: with hard work, dedication and perseverance, you can achieve almost anything. Among his many accolades, Walters received the Ben Hogan Award and the PGA Distinguished Service Award for his remarkable comeback. The International Network of Golf honored Walters by establishing the Dennis Walters Courage Award, which is presented annually. Walters joins a list of Bob Jones Award winners that includes national champions such as Francis Ouimet (1955), Babe Didrikson Zaharias (1957), Arnold Palmer (1971), Jack Nicklaus (1975), Ben Hogan (1976), Annika Sorenstam (2012), and Payne Stewart (2014), as well as those who have contributed to the fabric of the game in other meaningful ways, such as Richard S. Tufts (1967), Joe Dey (1977), Bing Crosby and Bob Hope (1978), P.J. Boatwright Jr. (1993), President George H.W. Bush (2008), Barbara Nicklaus (2015), Judy Bell (2016), and Bob Ford (2017).